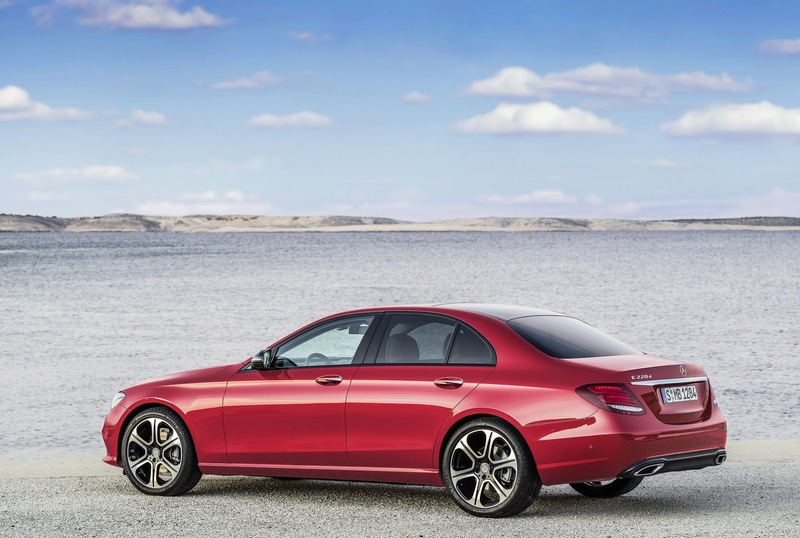 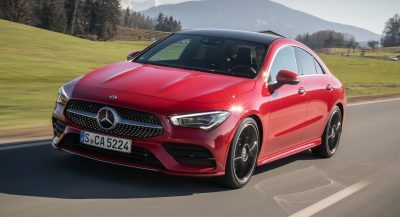 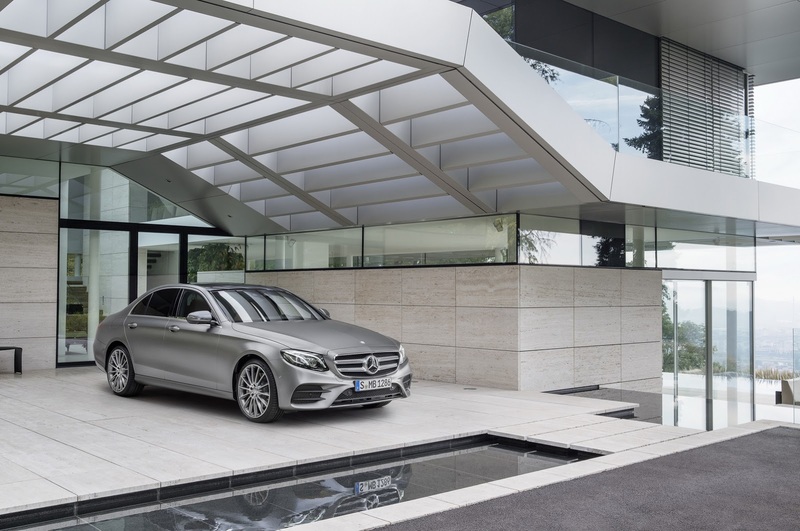 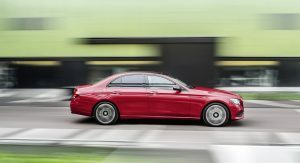 Billed as the “most intelligent luxury sedan”, Mercedes-Benz’s next generation E-Class was fully revealed on Sunday during a press event on the eve of the Detroit Motor Show. 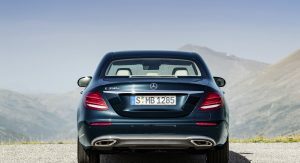 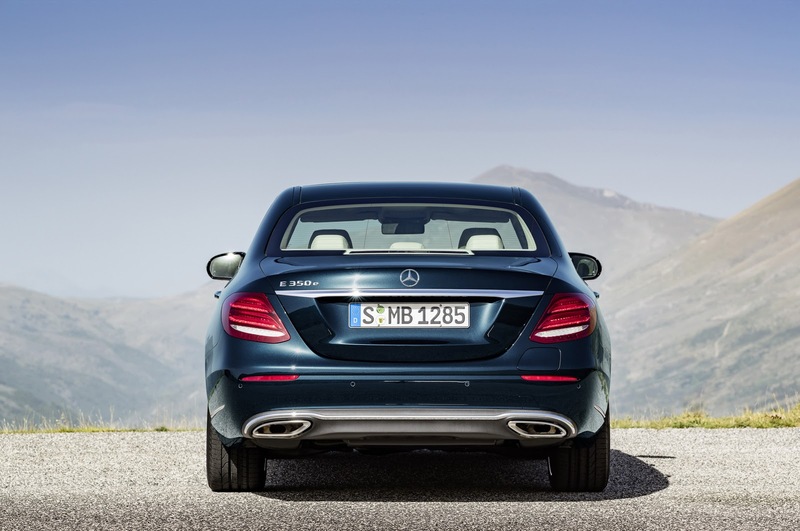 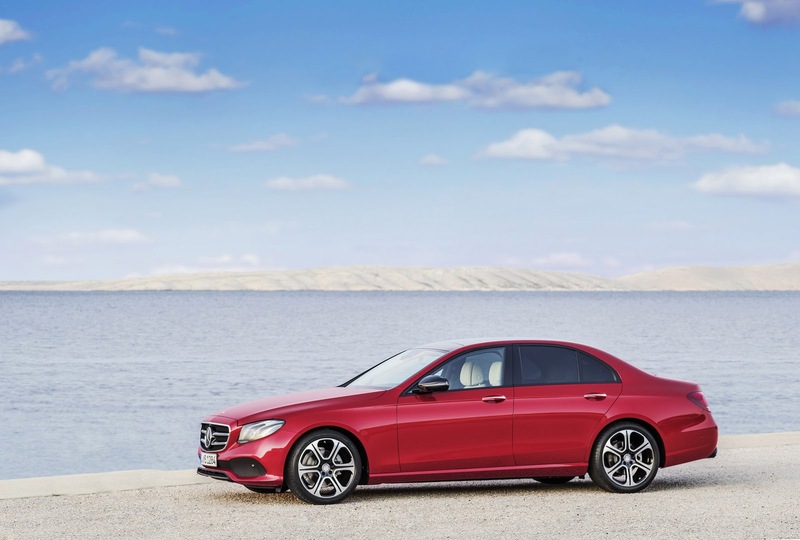 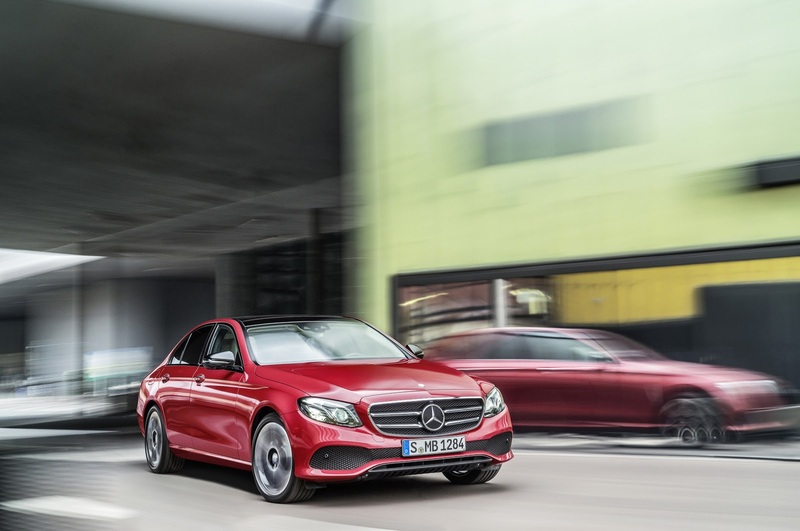 Bigger but lighter than the outgoing E-Class, the 2017 model will go on sale in the USA and Canada this summer offering a single engine option at launch, a 2.0-liter turbocharged four-cylinder gasoline unit with 241 hp and 273 lb-ft of torque for the E300. 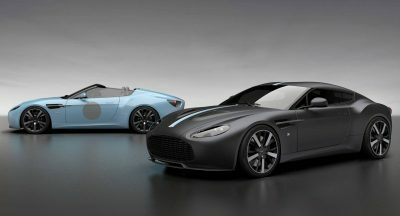 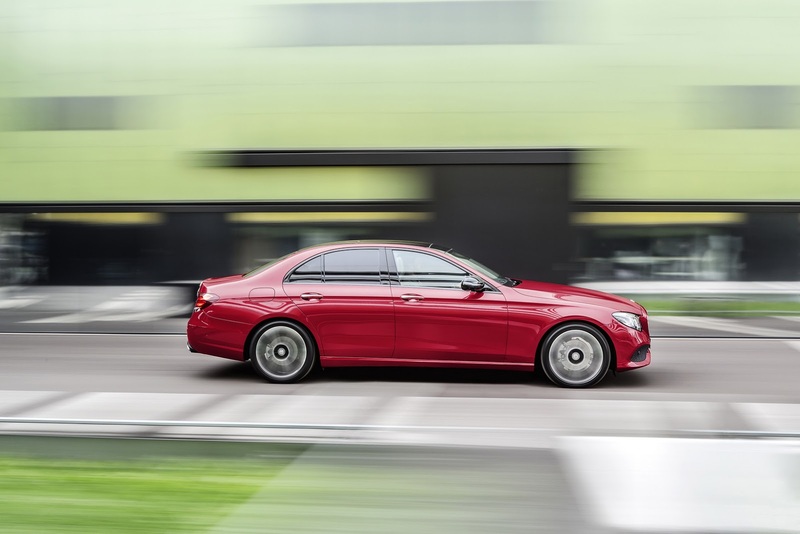 Additional powertrains will be added to the range during the course of the year. 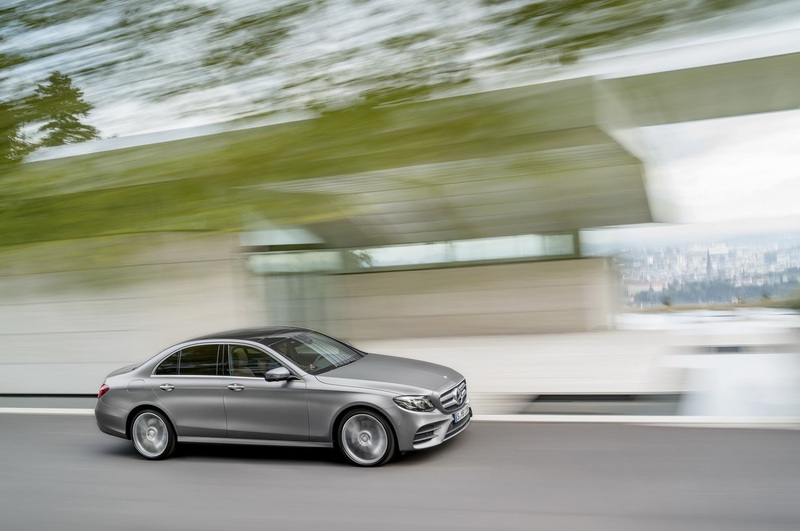 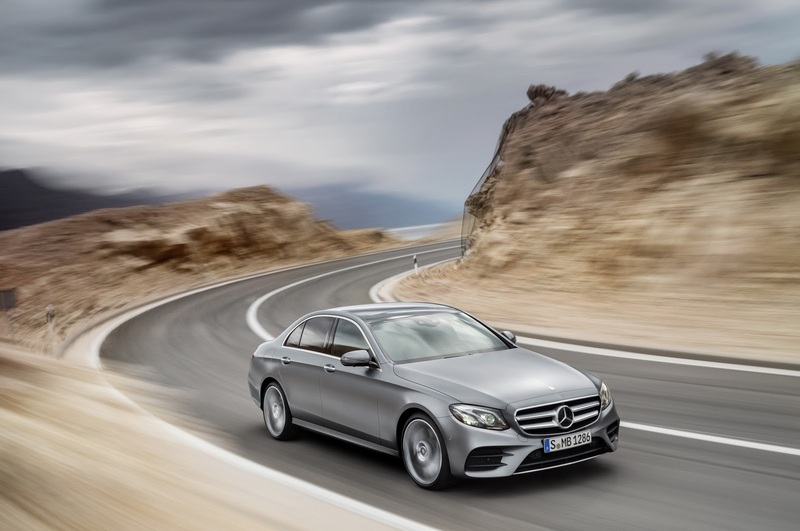 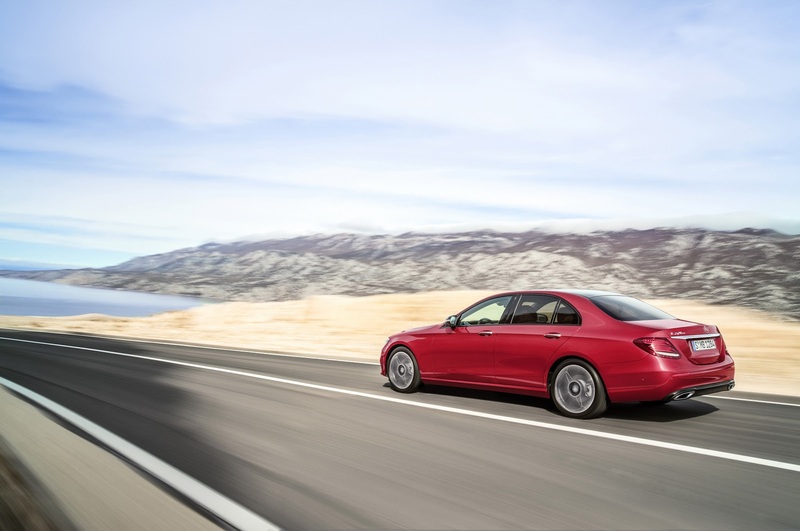 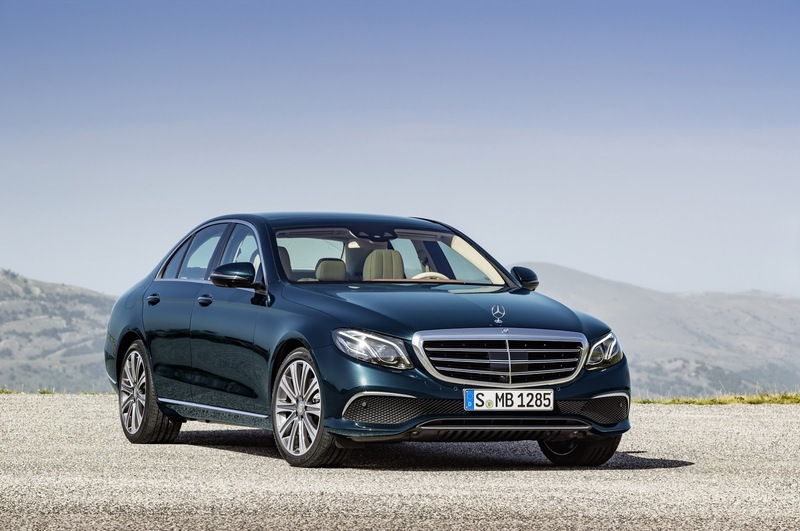 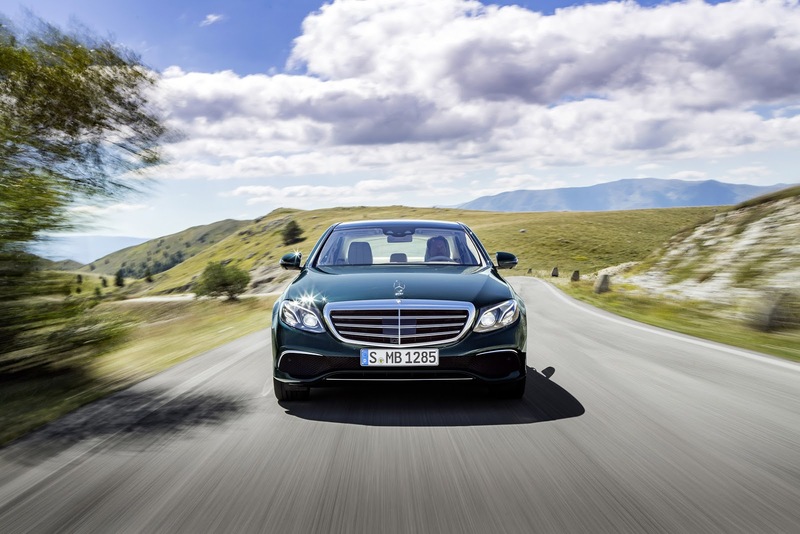 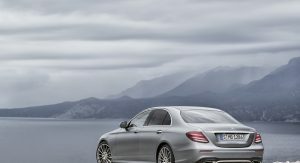 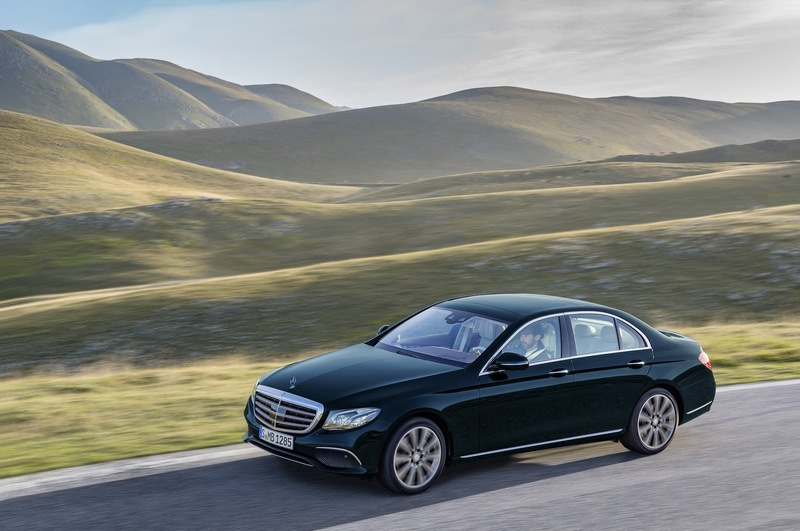 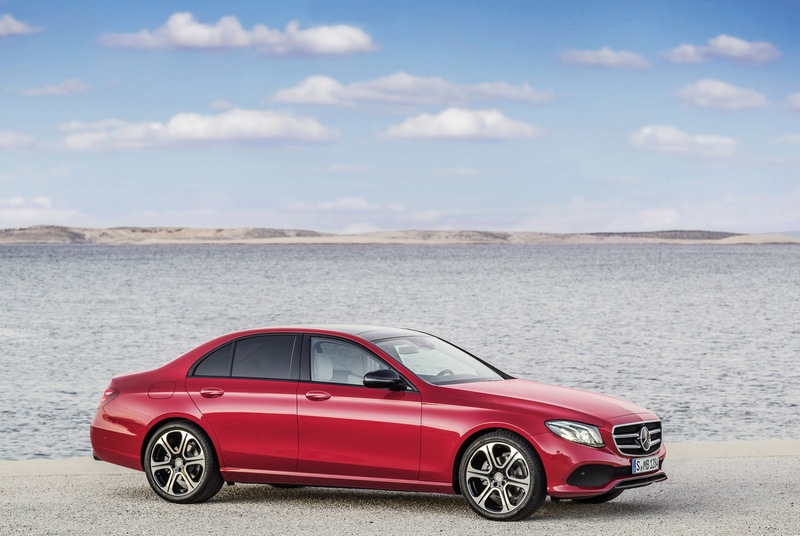 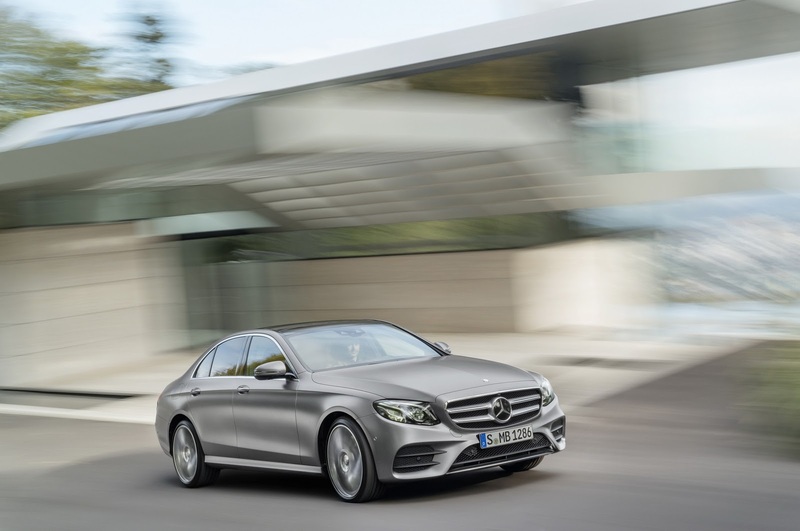 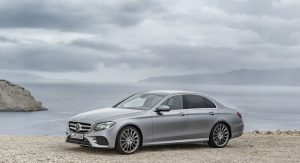 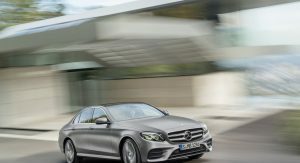 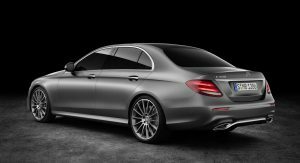 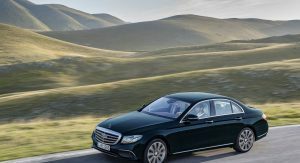 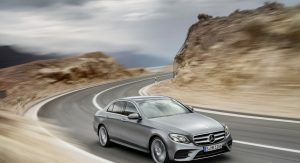 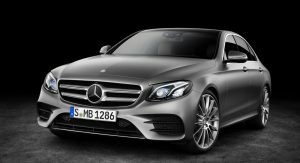 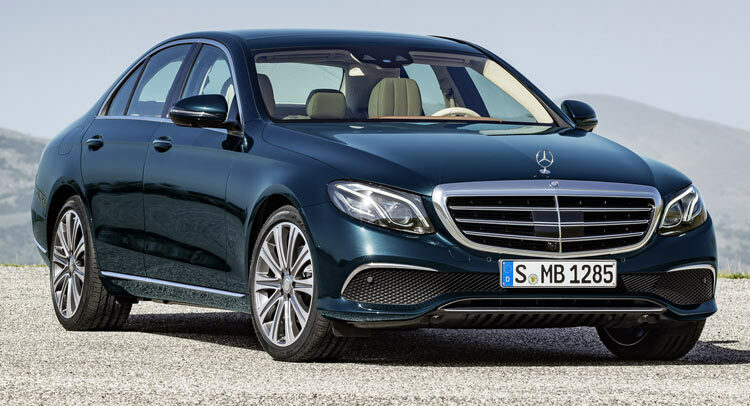 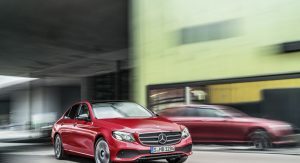 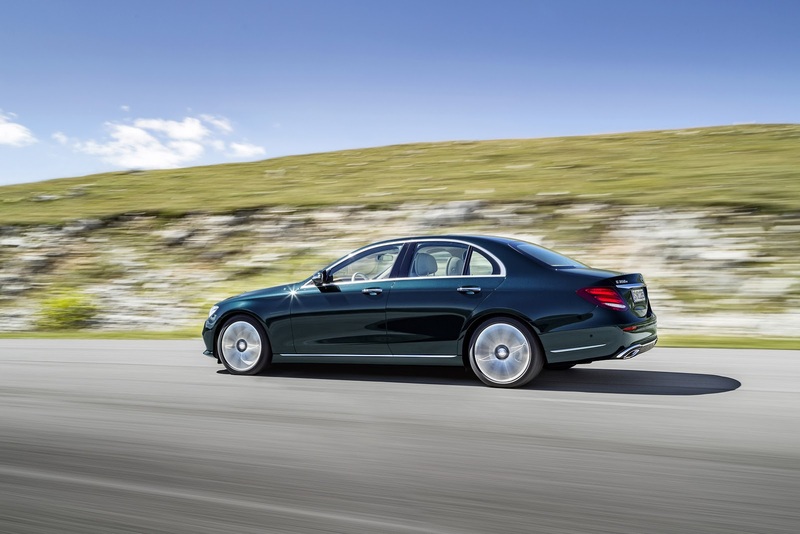 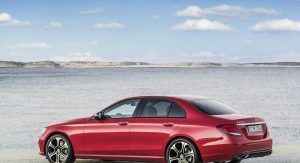 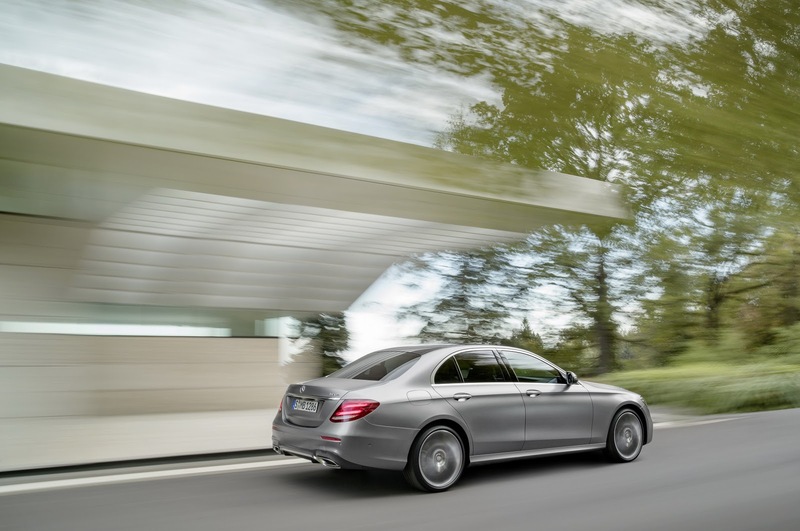 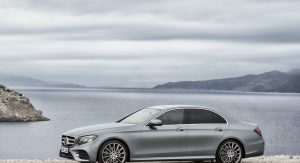 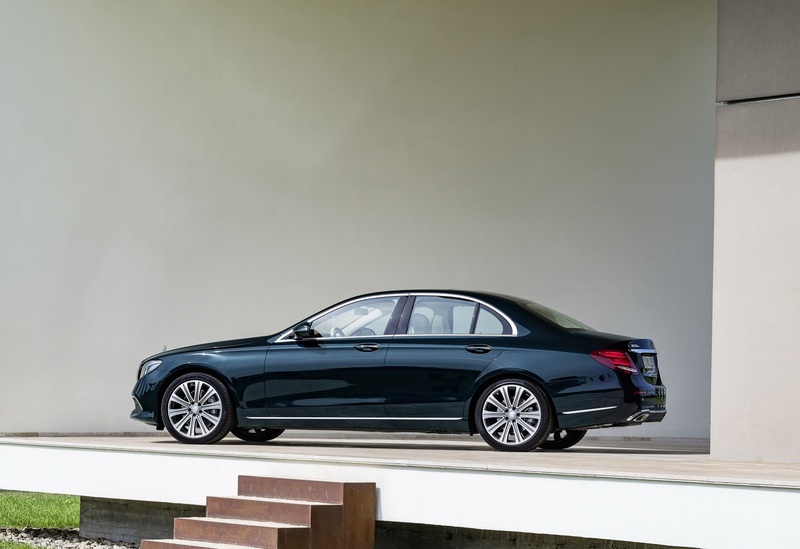 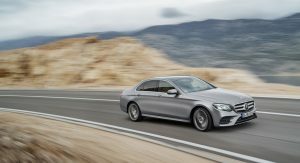 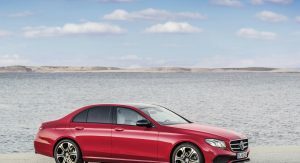 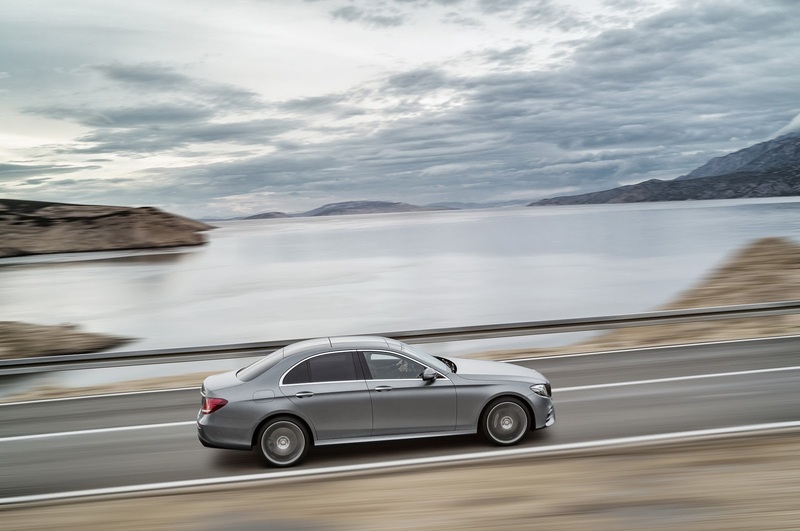 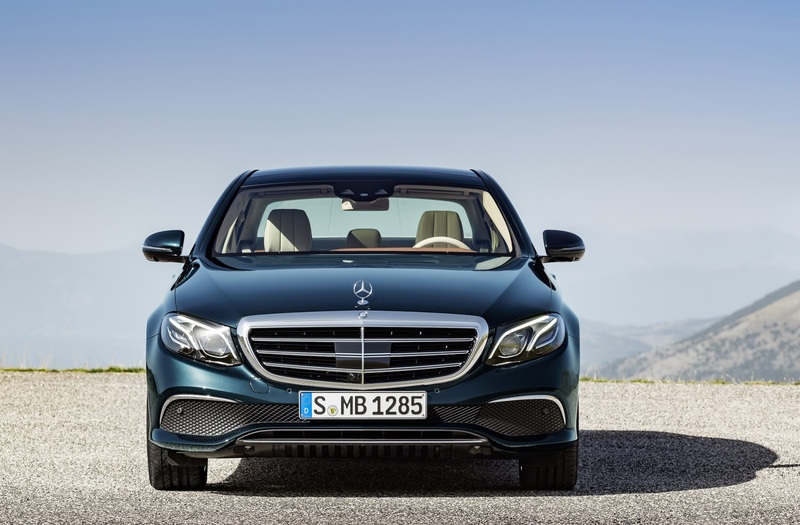 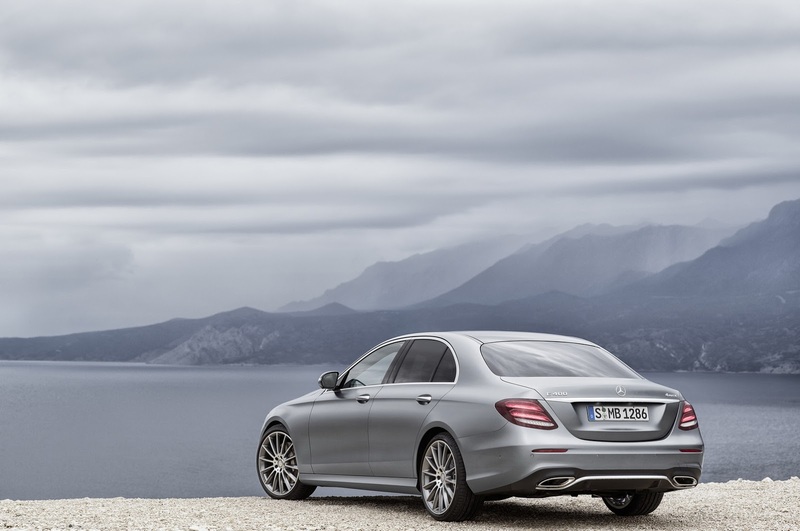 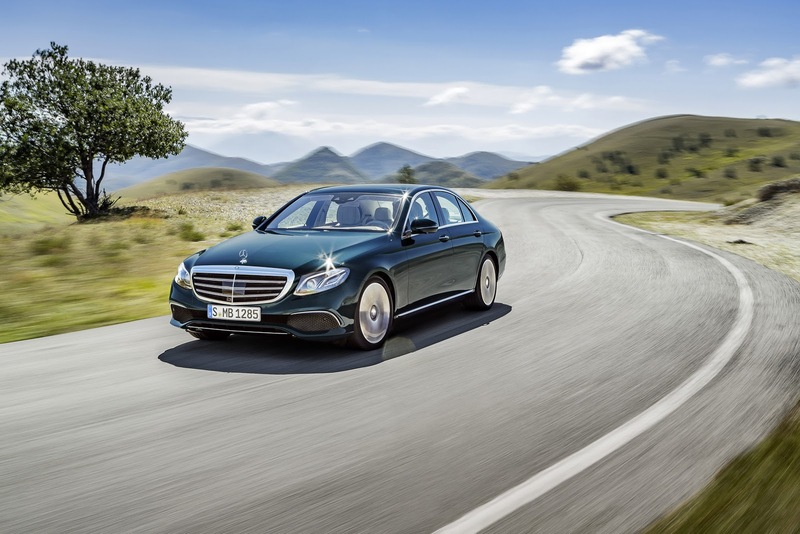 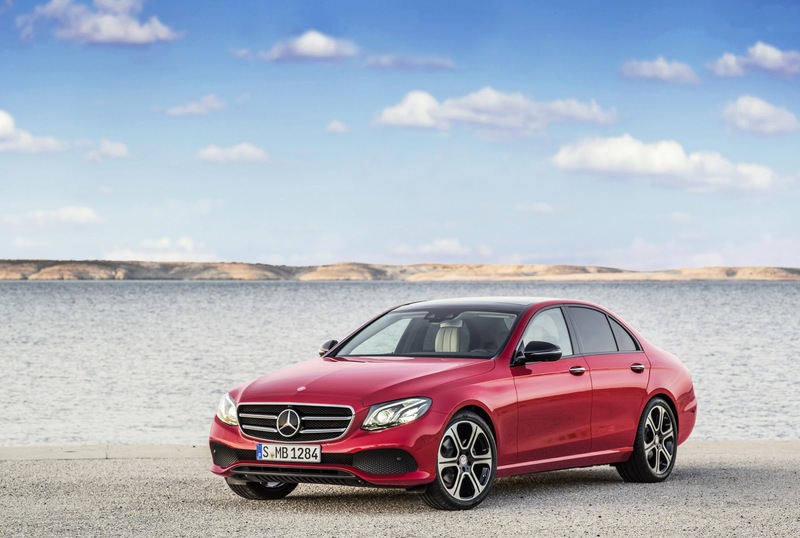 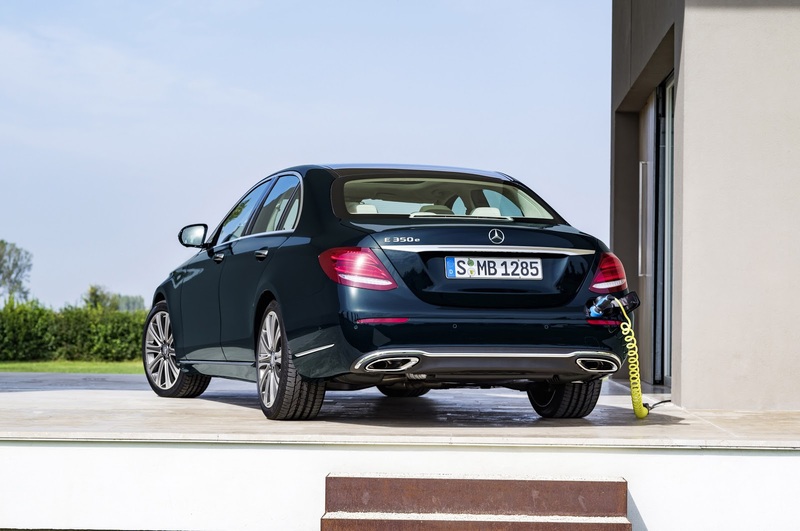 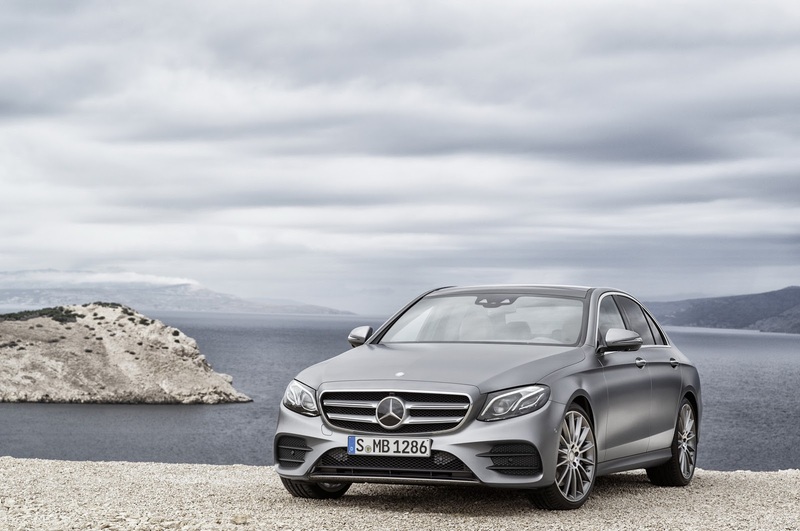 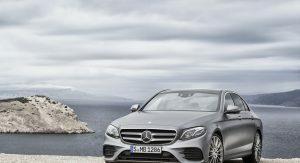 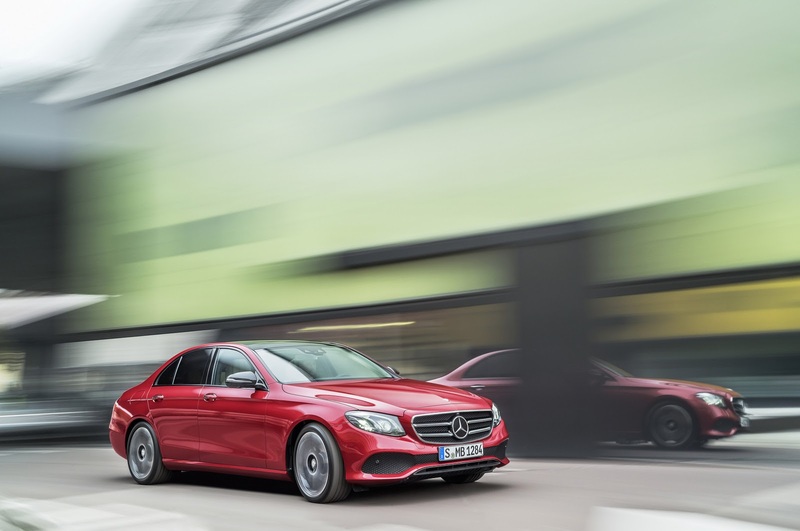 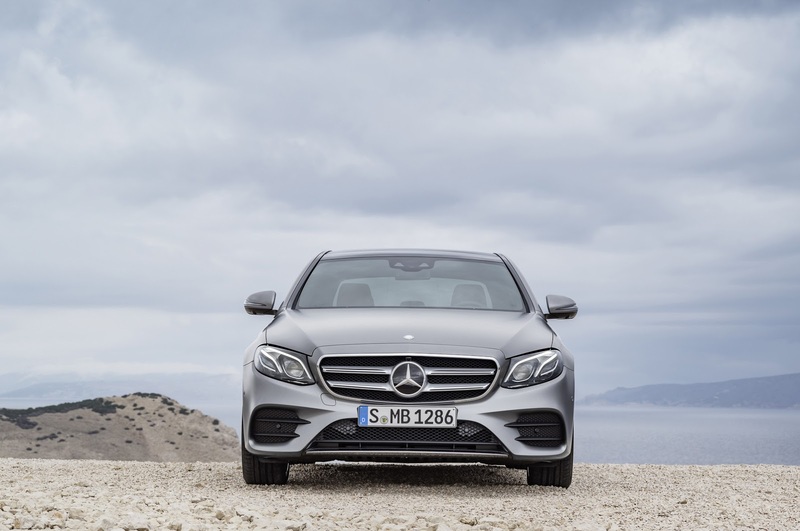 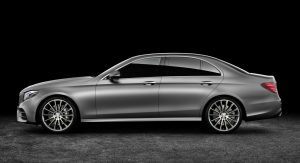 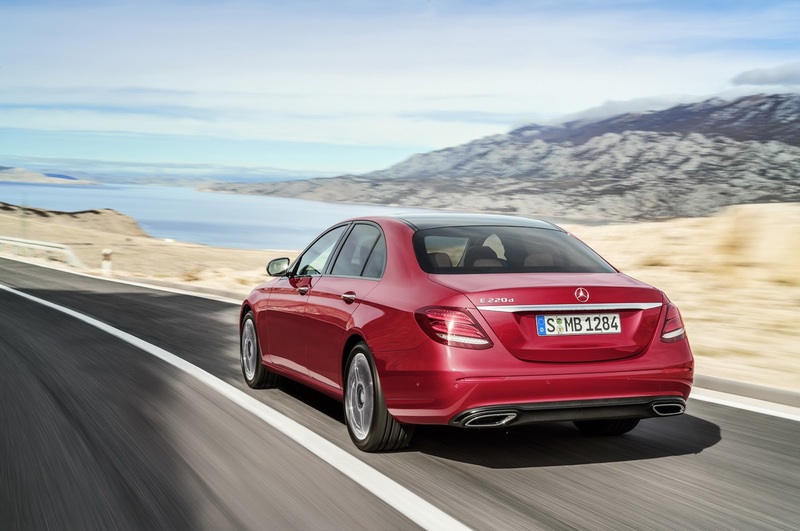 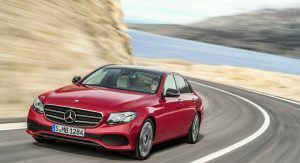 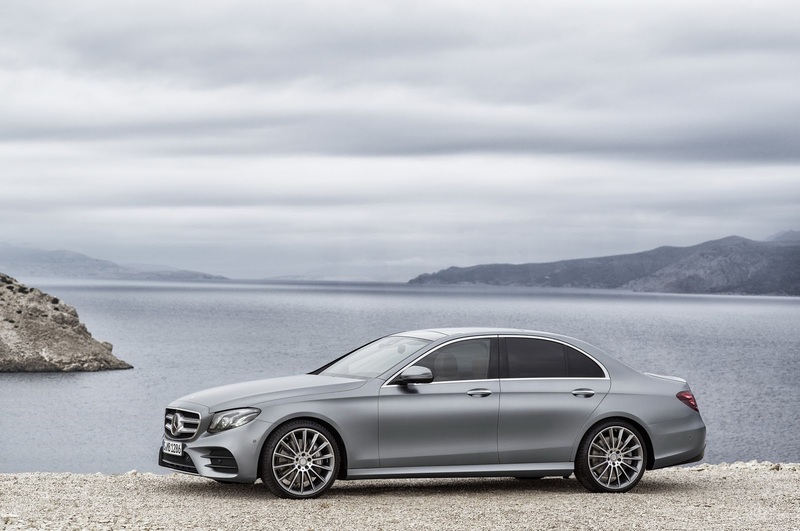 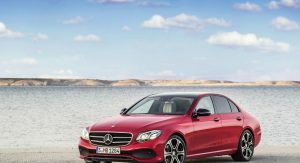 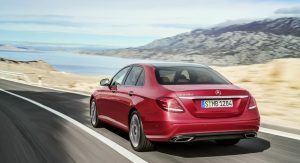 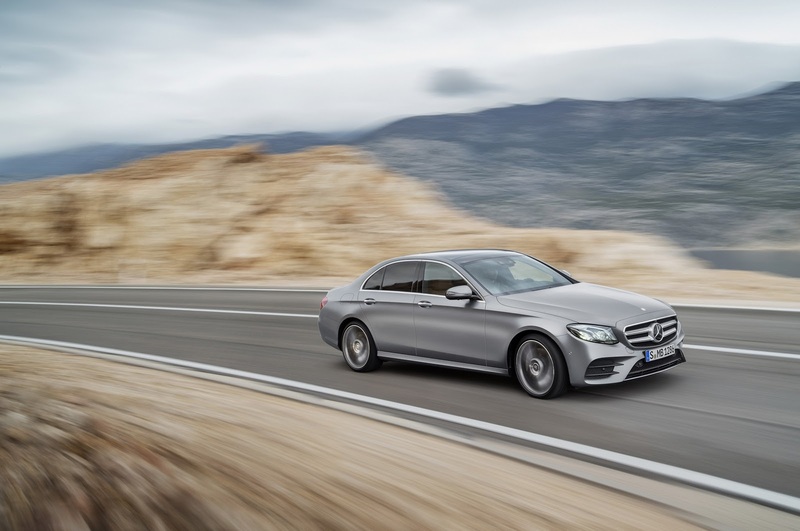 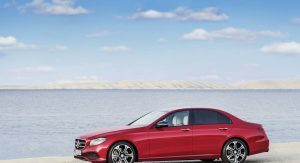 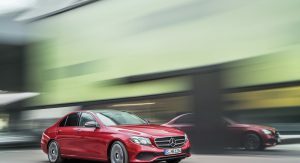 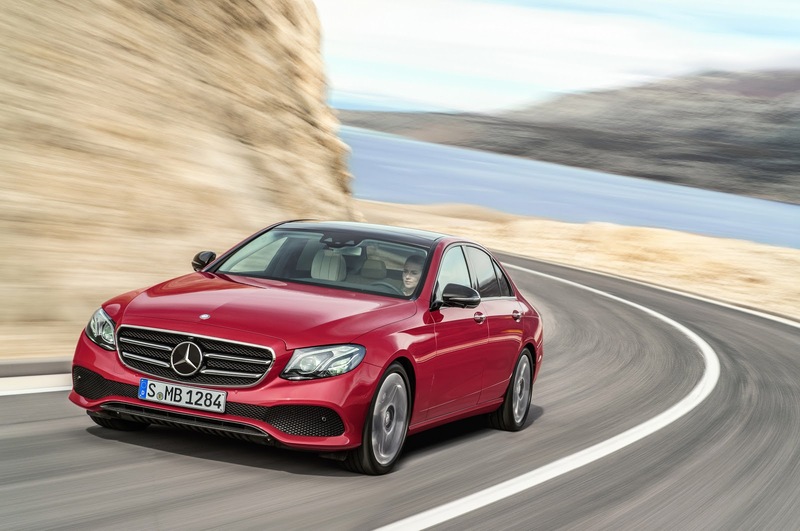 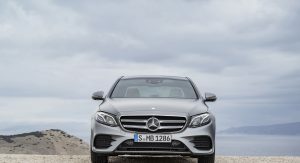 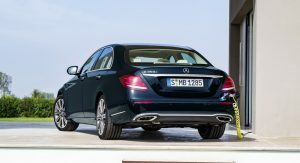 In Europe, the new E-Class will be available with a wider engine range at launch, including the gasoline-powered E200 with a 184PS (181hp) 2.0-liter turbo four, the diesel-powered E220d with a 195PS (192hp) 2.0L four, the E350d with a 258PS (255hp) 3.0-liter six-cylinder, and the E350e plug-in hybrid with a total system output of 279PS (275hp). 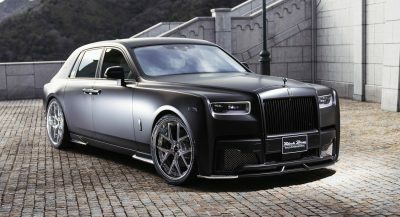 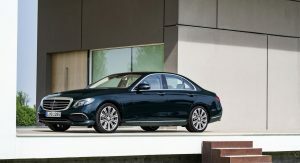 All models available at market launch will be equipped with the firm’s new 9G-TRONIC nine-speed automatic transmission as standard. 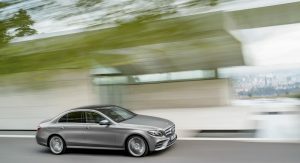 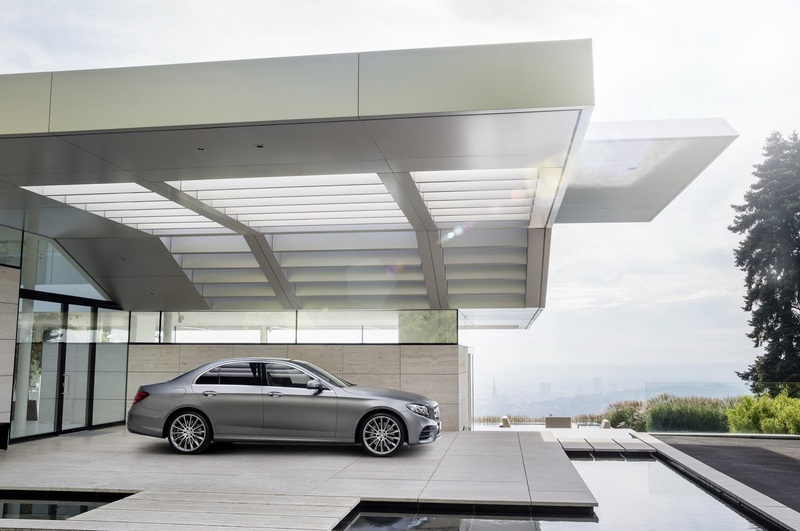 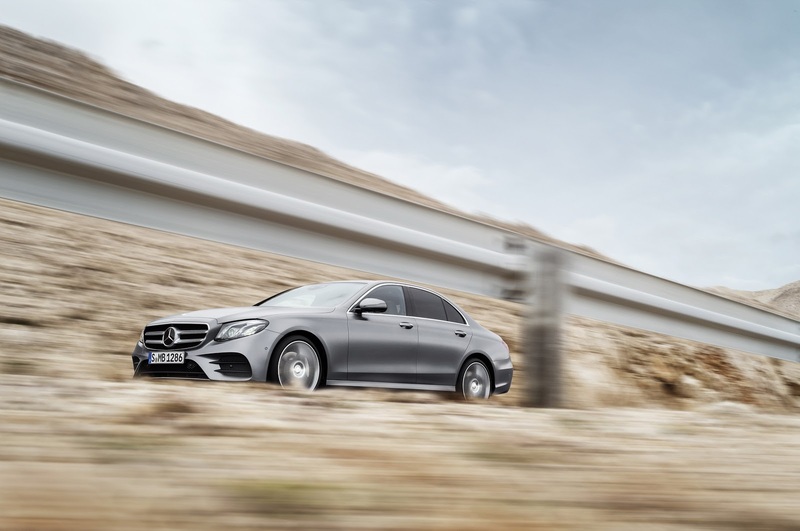 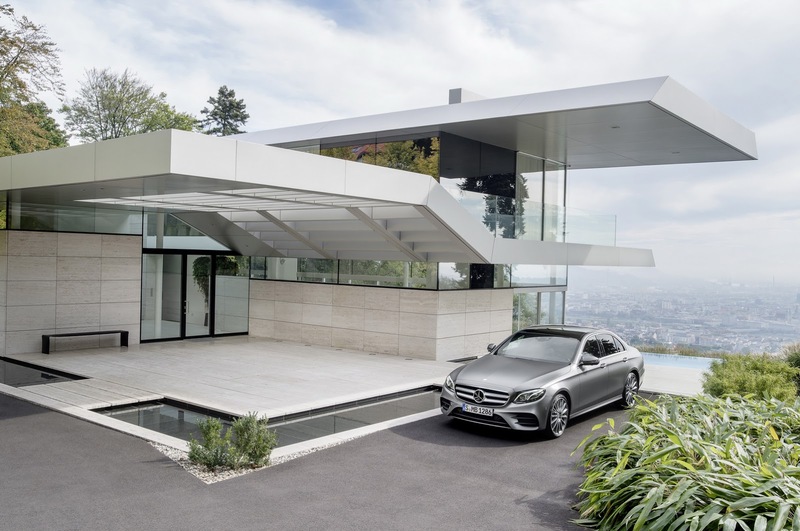 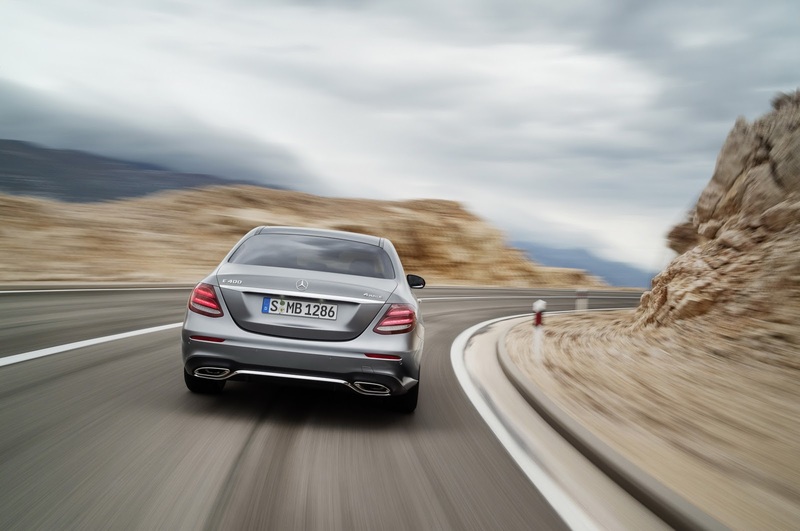 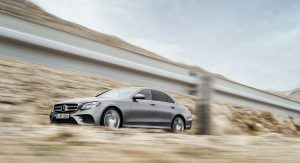 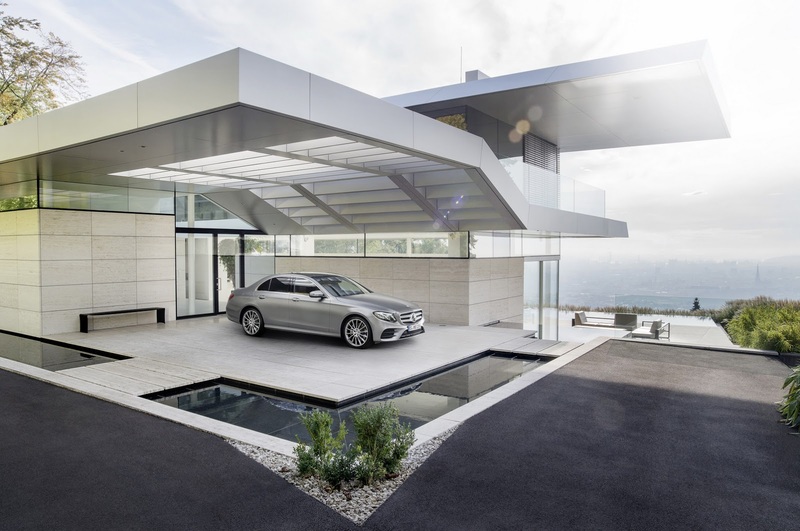 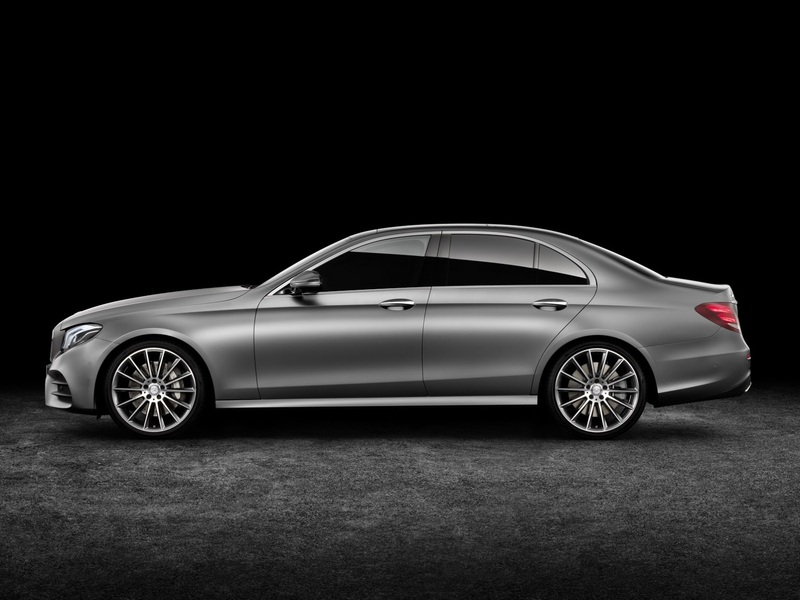 Aside from the regular steel-spring suspension, the E-Class will offer two DIRECT CONTROL suspension systems with selective damping (Sport or Comfort) and the AIR BODY CONTROL air suspension. 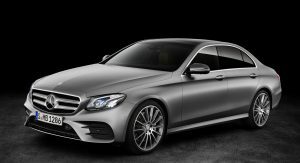 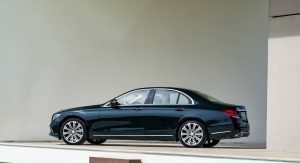 Built on Benz’s modular MRA platform that also underpins the latest C-Class and S-Class models, the new W213-codenamed E-Class has a 2.6-inch (66mm) longer wheelbase than its predecessor at 115.7 inches (2,939mm), while it’s 1.7 inches (43 mm) longer overall at 193.8 inches (4,922 mm). 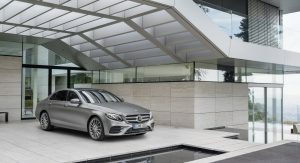 As we’ve already seen from previous official and leaked imagery, the styling of Mercedes’ BMW 5-Series and Audi A6 rival, both inside and out, slots neatly between the more sporty C-Class and more plush S-Class. 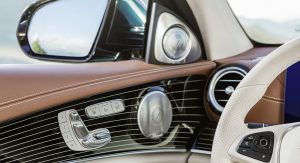 The US version of the E300 will have a traditional gauge cluster behind the steering wheel combined with a 12.3-inch navigation display screen, though, we expect Mercedes to offer the full-digital instrument panel version as well, if not at launch, later on. 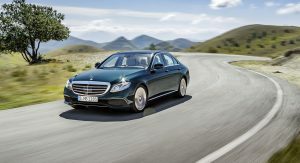 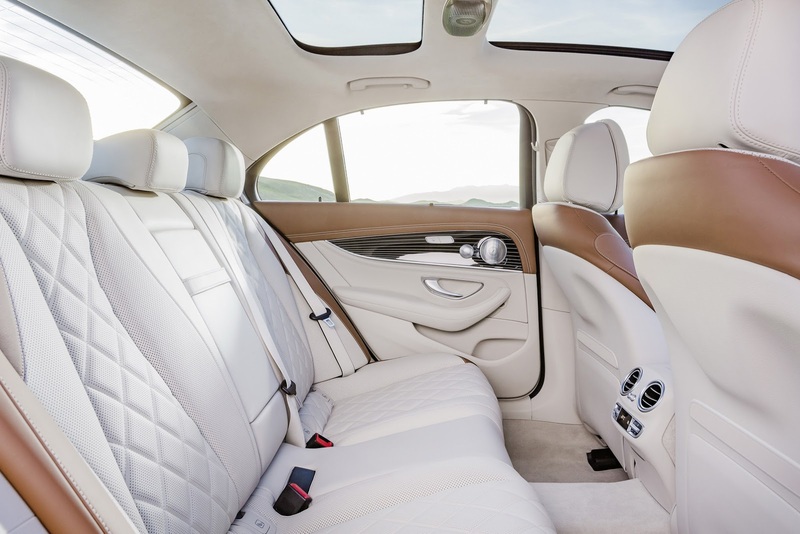 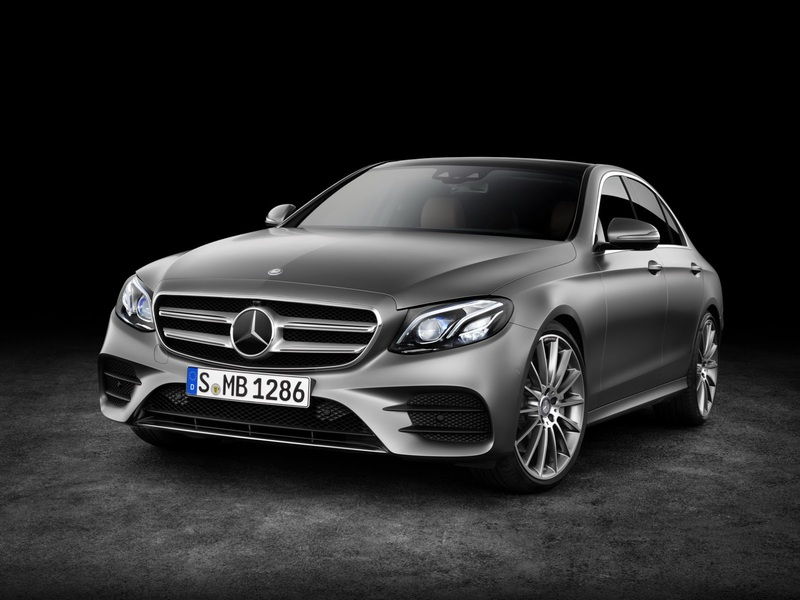 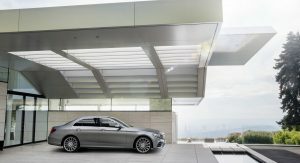 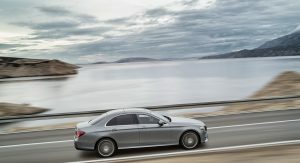 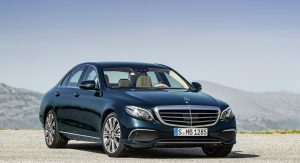 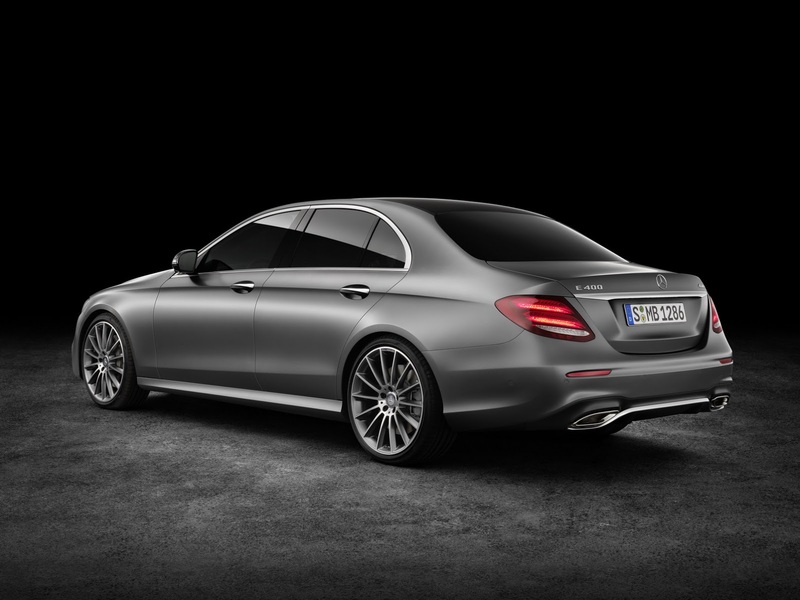 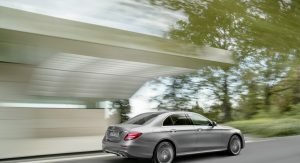 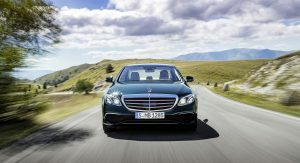 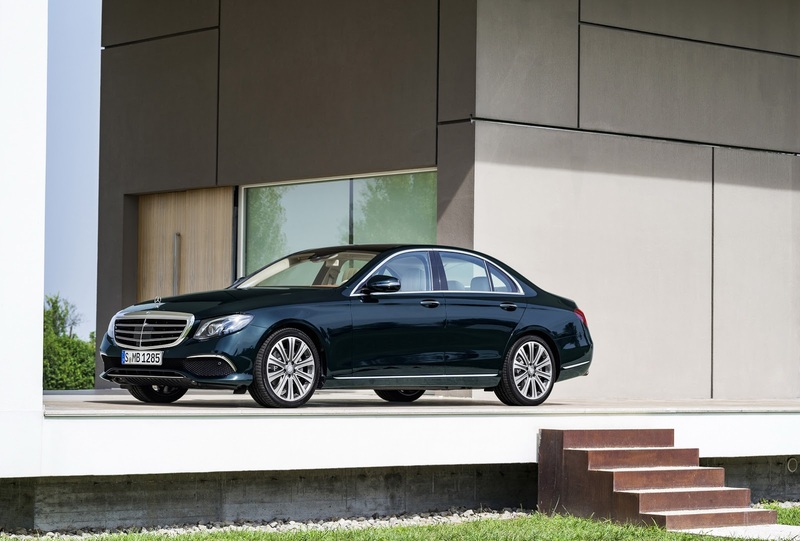 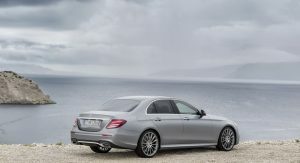 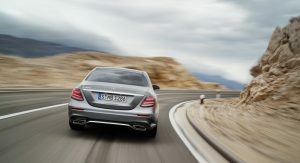 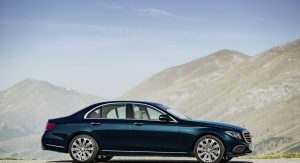 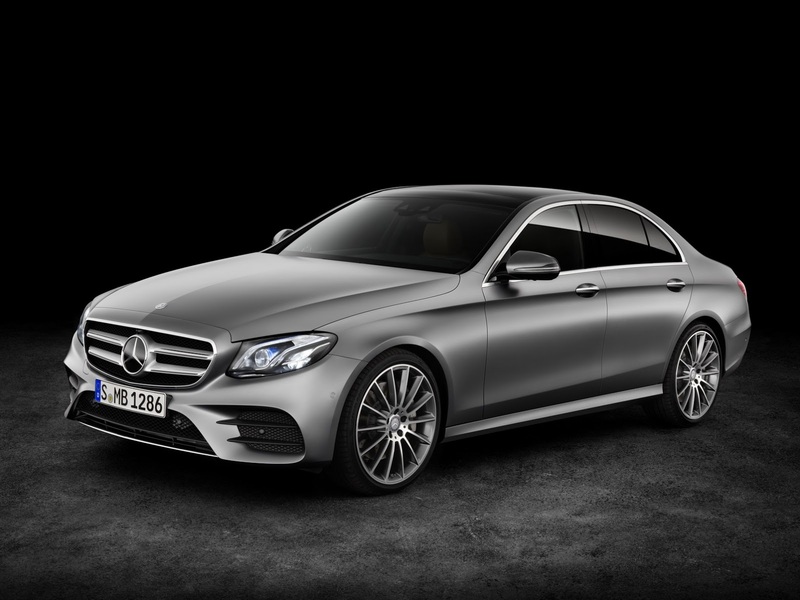 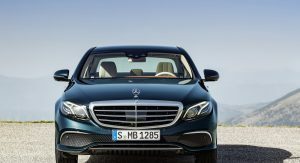 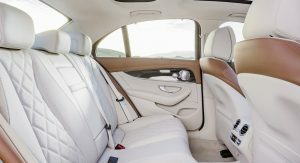 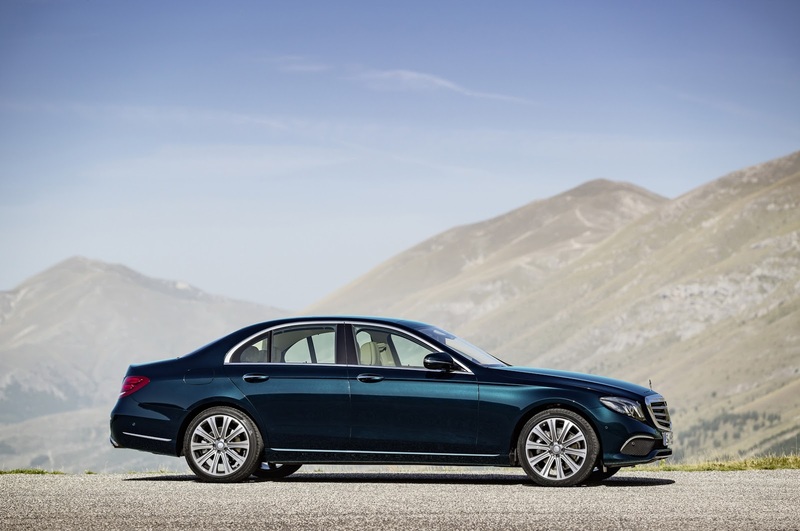 The W213 E-Class will debut a number of tech, comfort and safety features, ranging from touch-sensitive control buttons (‘Touch Controls’) on the steering wheel and LED ambient lighting with 64 color options, to the Remote Parking Pilot system that allows the vehicle to be moved into and out of garages and parking spaces remotely using a smartphone app. 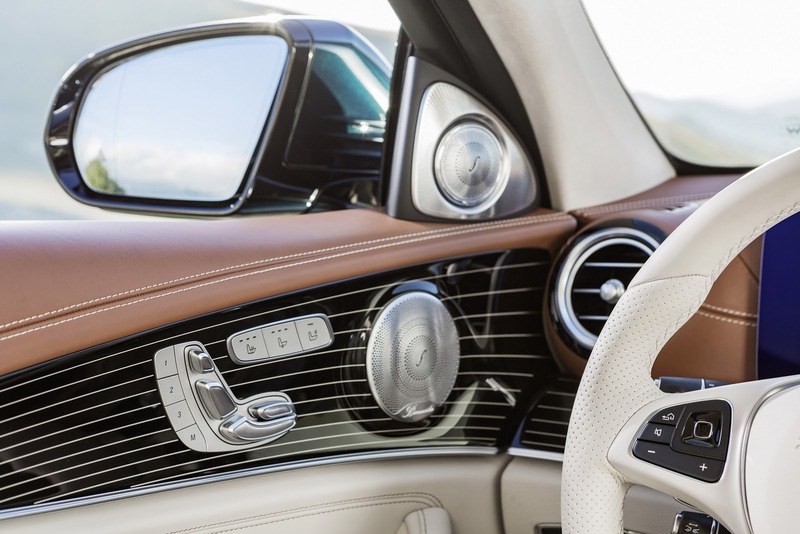 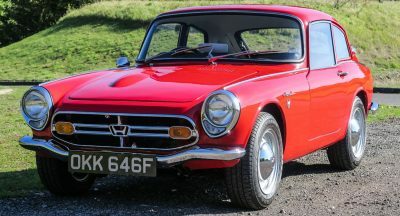 Another highlight is the Car-to-X communication system that enables mobile phone-supported exchange of information with other vehicles further ahead on the road. 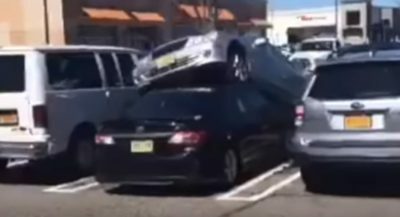 H/T to Barry for the video tip! 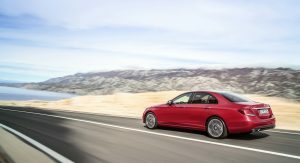 Previous PostPrevious A Bugatti Chiron For …Skiing?